Animal Planet invites you to tap into your most primal fears with this unique series. 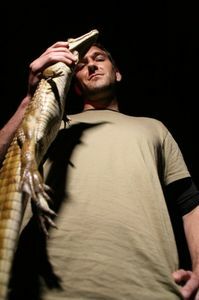 Each episode allows viewers to experience the wonder and terror of nocturnal nature and all its animal activities. From sunset to sunrise, follow animal expert and host, Brandon McMillan as he goes on a global quest through jungles, forests and savannahs to capture rarely seen animal behaviour at night. Watch as Brandon miraculously captures a panther's night-time behaviour, ventures to the Florida everglades in search of the American Crocodile and investigates the mythological 'Vampire Bat.' 'Night' reveals what comes alive when the sun goes down.